Laserfiche is pleased to announce the release of Quick Fields 9.0 in English, Arabic, French, and Spanish. 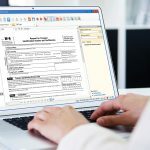 This release includes updates to document processing and identification as well as enhancements and fixes for Laserfiche Quick Fields. 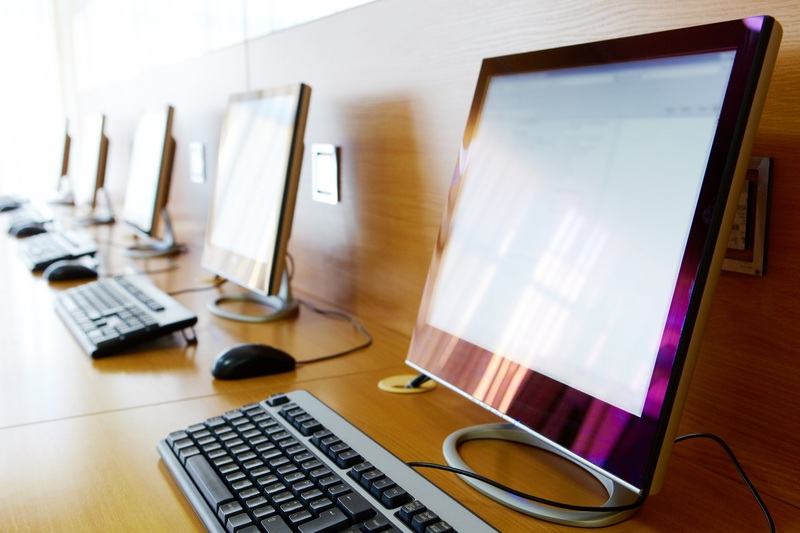 Last Page Identification: Offering a new way to identify pages as part of a certain document class, Last Page Identification can be used along with First Page Identification (formerly known as Identification) or on its own to identify where documents end. The Assign Token Value creates new tokens and updates from existing token values to be used by other Quick Fields processes. These tokens can be used like any other token in Quick Fields to populate fields and create folder paths. A Conditional runs a contained process if certain conditions are satisfied, allowing for automatic more granular document classification and processing without the need to define additional document classes. 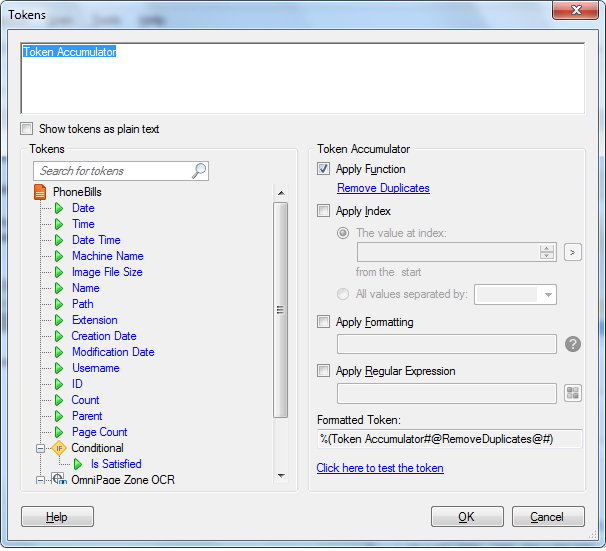 The Token Accumulator gathers values from one token across all pages of a document to create a multi-value token. This can be used to populate a field with multiple values. Tokens and token functions: The Token Dialog box makes it easier to edit multiple tokens especially when using tokens in long entry paths or if they have formatting. Tokens with functions can now also be modified (as well as with original regular expressions, index, and formatting). 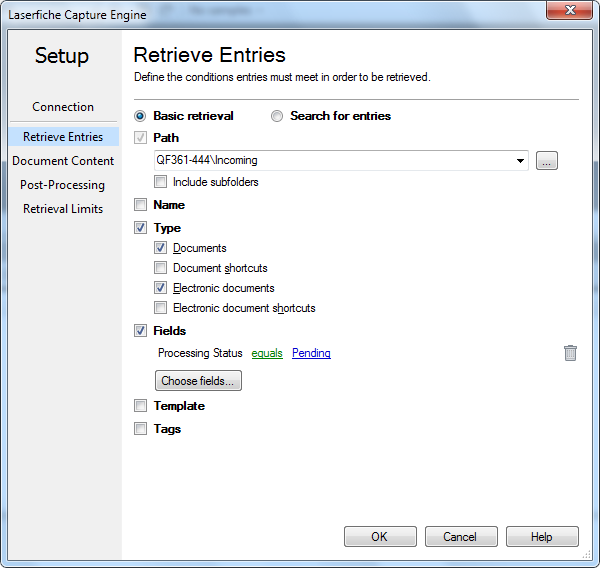 The user experience of Universal Capture and Laserfiche Capture Engine has been redesigned to offer new options and functionality. Configured zones can now be copied (CTRL+V) to enable faster zone configuration in different locations of a process. The user experience of Universal Capture and Laserfiche Capture Engine has been redesigned to offer new options and functionality. Scan sources now only have a single, consolidated dialog box with new options, rather than having multiple configuration dialog boxes for each scan. The Sample Pages dialog box has been made more intuitive and with new text features. The first sample page of a document class can also now be the sample page in the Pre-Classification stage. Quick Fields Agent can send email notifications based on the status of each schedule it runs. 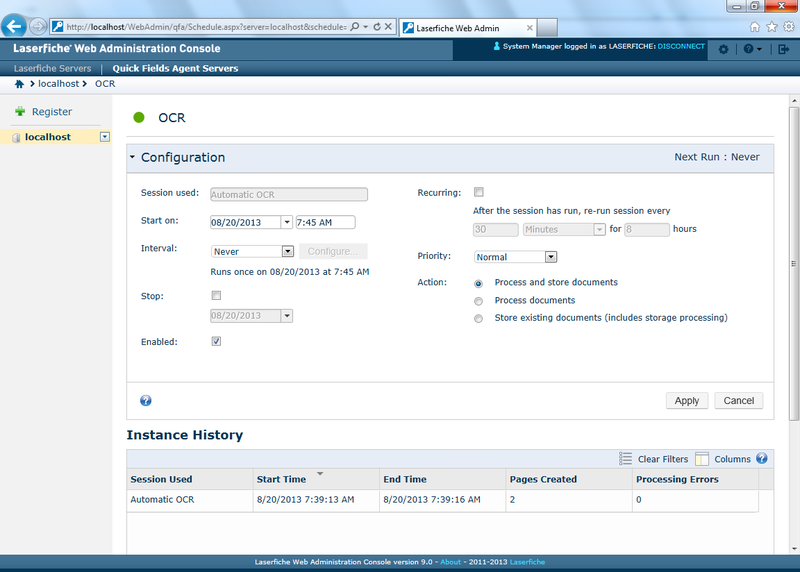 Quick Fields Agent can now be managed through the Laserfiche Web Administration Console. Read the release notes for Quick Fields 9.0. See a list of changes for Quick Fields 9.0. 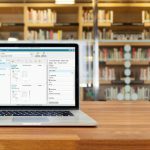 Read about the new features in Quick Fields 9.0. Visit support.laserfiche.com for videos, forums, Knowledge Base articles, and more.